"It's 4 a.m. and totally dark outside when the van rolls up to our hotel in Cappadocia, Turkey. We head to the launch spot for our hot-air balloon ride, and the sun is just peeking above the mountains when we arrive." 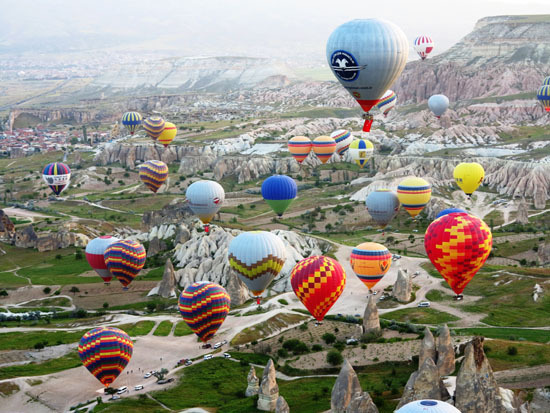 Read the complete article in the Dallas Morning News about our hot air balloon ride over the remarkable, rocky landscape of this National Heritage site.